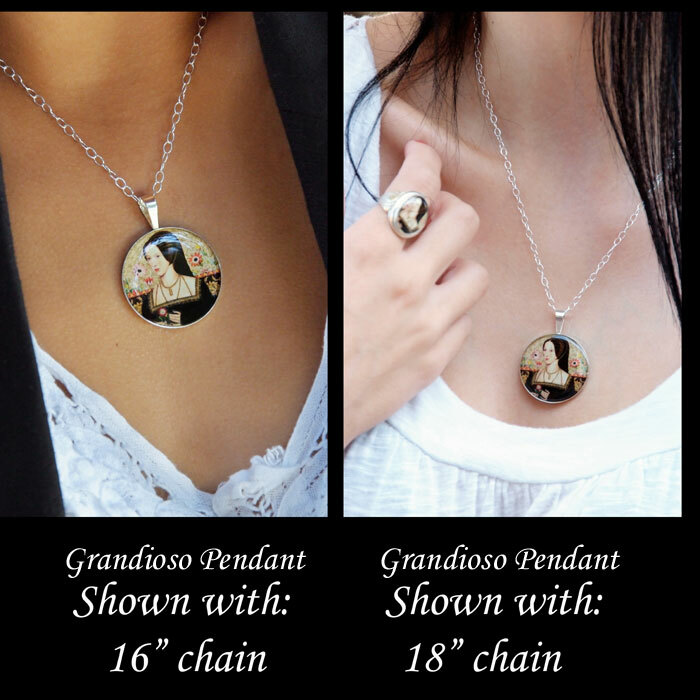 This beautiful, unique and collectible pendant style Katherine of Aragon necklace features an image from a stunning collage by renowned artist Tiffini Elektra. 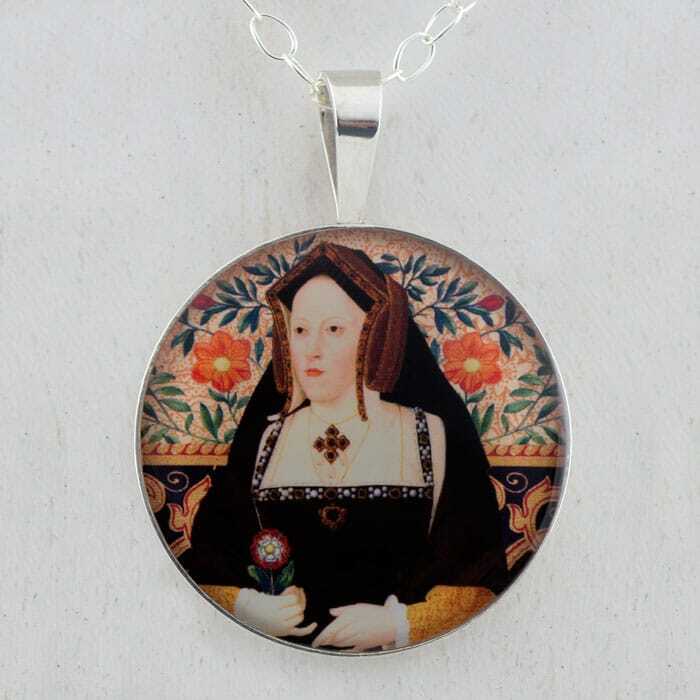 It shows Katherine of Aragon holding The Tudor Rose with pieces of an antique botanical of pomegranate flowers and ornamental papers and bookplates. One of the symbolic meanings of the pomegranate is “fertility and nourishment of the soul”. 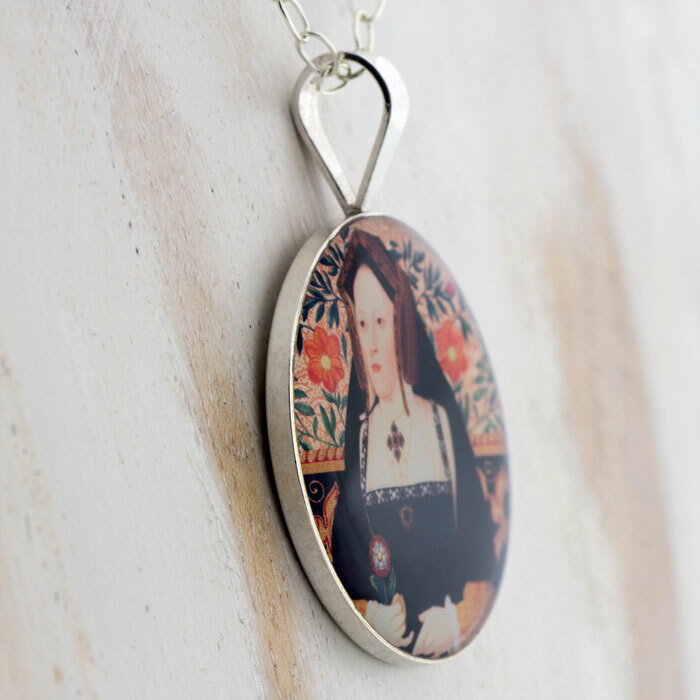 It was also featured on Katherine’s badge. 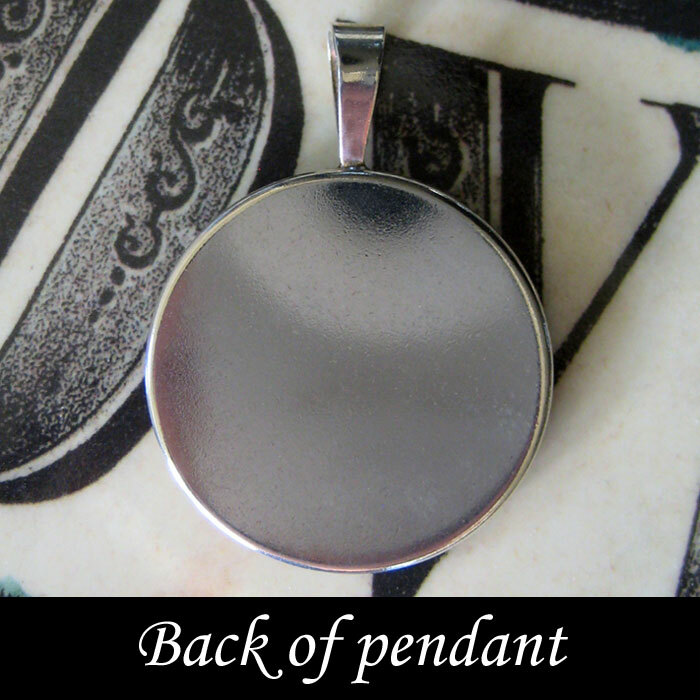 Each sterling silver pendant comes complete with a 16″ sterling silver oval cable chain.